The Hellenic Centre for Marine Research (HCMR) is the largest marine research organization for Oceanographic, Fisheries and Inland Waters, Marine Biology and Genetics, and Aquaculture research in Greece and is composed of three research Institutes (the Institute of Oceanography (IO), the Institute of Marine Biology, Biotechnology and Aquaculture (IMBBC), and the Institute of Marine Biological Resources and Inland Waters (IMBRIW)). The staff totals approximately 480 people comprising researchers, technicians, administrative and secretarial employees. The HCMR has been involved in all EU framework programmes and participated in numerous EU-funded RTD projects, either as coordinator or partner. The missions of HCMR are (a) to study and conserve the health of the hydrosphere so that aquatic ecosystems can continue to providing their services (i.e., provisional, regulatory, aesthetic, cultural) to future generations, (b) to promote sustainable exploitation of the oceans including marine energy under the Blue Growth strategy, (c) to support the regional development within the frame of national, sub-regional and regional development, (d) to protect and explore marine biodiversity, e) to promote sustainable aquaculture (f) to raise public awareness on issues related to the hydrosphere and its conservation, (g) to provide advice to regional, national, Mediterranean and EU institutional bodies on environmental sustainability and management. 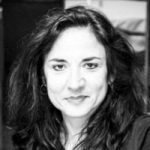 Vassiliki Vassilopoulou, Ph.D, is involved in research activities in the field of ecosystem-approach to fisheries management. 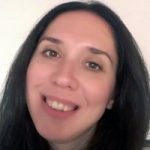 Αn expert on fishery by-catches and focusing particularly on discards mitigation, she was the coordinator of the MariFish project BADMINTON, and is currently a WP leader of the DG-MARE DISCATCH project, and a Task leader of the H2020 MINOUW project. Since 2009 she has been engaged in Maritime Spatial Planning research issues through leading one of the Case Studies of the FP7 project MESMA, and a WP of the DG-MARE ADRIPLAN project. In the last years she is working on issues contributing to a more efficient integration between policy needs and scientific advice focusing mainly on linking MSFD concepts with the UNEP/MAP EcAp in the Mediterranean mainly through efforts within the FP7 PERSEUS WP5, which she is co-leading, as well as on the definition of GES aiming to propose or adapt targets towards its achievement as the leader of WP2 of the SEAS-ERA project MERMAID. She has participated in several FAIR, STREP, INCO and EU (FP6 & FP7) projects, in some of which as the leading scientist on behalf of the HCMR. She has more than 150 publications and presentations in International Scientific Journals and Conferences. Panayotis Panayotidis is Natural Scientist – Oceanographer with a BSc in Natural Sciences from the University of Thessaloniki, Greece (1975) & PhD in Oceanography from the University of Aix-Marseille II, France (1980). He has been a researcher at the Hellenic Center for Marine Research (HCMR) since 1983 and Research Director in the HCMR since 2000. 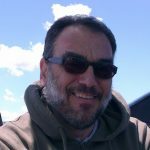 Panayotis is a leading expert in biology, taxonomy and ecology of marine Angiosperms and macro-algae, marine habitat mapping and costal management. He was involved in the implementation of the EU Habitat Directive (HD, 92/43/EEC), Water Framework Directive (WFD, 2000/60/EC) and Marine Strategy Framework Directive (MSFD, 2008/56/EC) in the Mediterranean eco-region, as well as in the implementation of UNEP/MAP MEDPOL and Ecosystem Approach (EcAp). In parallel he was partner in several EU research projects (ΜETROMED, SPICOSA, PERSEUS, MESMA, ADRIPLAN). Since 2004 he teaches at the multidisciplinary post-graduated course “Science and Technology of water systems” at the National Technical University of Athens (NTUA). Paraskevi Karachle is an Assistant Researcher at the HCMR. She has worked in European funding programs on fisheries. She is expert in food ecology and fish eco-morphology. In recent years she has dealt with the involvement of interested parties (stakeholders), mainly fishermen, in participatory processes in order to develop an adaptive management process. She has been responsible for submitting projects and the dissemination of information, organization of meetings and workshops, especially on issues related to the participation of scientists and stakeholders, while she was in charge of the «Task 5.3: PlanExecution» project ADRIPLAN, which concerned the handling of information dissemination of the project objectives. In addition, she was the Chairman of the Organizing Committee of the 11th Panhellenic Symposium of Oceanography and Fisheries, organized by Associations Researchers and Workers HCMR (Mytilene, 13-17 May 2015) and has been designated as responsible communication on the part HCMR on the coordination of the actions of Center within the celebration of the European Day of the Sea in Piraeus (30-31 May, public days). She is the coordinator of the PROTOMEDEA project (Towards the establishment of Marine Protected Area networks in the Eastern Mediterranean). Stefanos Kavadas is Research Scientist of HCMR. He has studied Mathematics and Informatics at the University of Göteborg in Sweden. He has 23 years’ experience in design and manufacturing databases, geographic information systems, development of methodologies for analyzing VMS data in design and development of web applications, classical and advanced statistical data analysis and geostatistics. He is in charge of Fisheries Data Centre and the foundations of the National Fisheries Data Collection Programme. During the period 2003-2007 as project leader of the UP program “Development of an integrated management system to support the sustainability of the fishery resources of Greece, IMAS-Fish» he developed an integrated fisheries data management system that meets the needs of the Institute on databases, geographic information systems and statistical analysis. It has been defined as «focal point» for representing the country in the context of «Implementation of the GFCM First Strategic Framework Programme». He supports recording systems and data collection used in the field (SCANMAR, SIMRAD, CTD). He has participated in 60 national and international research programs. Mavra Stithou is an environmental economist with a strong interest in marine management and planning and had diverse roles in academia and the public sector. Apart from a Government post in Marine Management Organisation (UK), Mavra has previously held research positions at Athens University of Economics and Business (Greece) and the National University of Ireland, Galway (Ireland) and worked on a number of research projects, focusing on the marine environment, particularly regarding the valuation and integration of ecosystem services into decision-making. 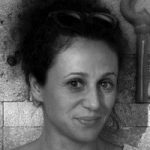 Eleni Gkadolou is a Surveyor Engineer with a Doctorate in Geography and specialized in Web Chartography. She currently works at the Hellenic Centre for Marine Research as a researcher. Previously she has collaborated with the Institute of Historical Research of the National Hellenic Research Foundation and the Institute of Computational Mathematics of the Foundation for Research and Technology in various European research projects with main task the development of cartographic web applications. Nikos Papandroulakis is a Research Director (2012) at the Institute of Marine Biology Biotechnology and Aquaculture, of HCMR. He is Deputy Member of the National Aquaculture Council of the Ministry of Rural Development and Food (since 2015) and Full Member of the Sectorial Scientific Council of the General Secretariat for Research and Technology for Agricultural Production, Food, Food, Agro-biotechnology and Aquaculture (since 2014) coordinating the GSRT advisory group for the definition of Research priorities for the Greek aquaculture in the frame of RIS 2014-2020. His research focuses on the improvement of methodologies and technologies (for hatcheries and cage farms) of the Mediterranean aquaculture and the application of research results in the industry. Recently he is involved in the development of offshore aquaculture concepts for multipurpose oceanic platforms, developing the aquaculture module with emphasis on the synergies with other activities, modelling technologies and analyzing the economic characteristics of the activity. He has been involved as coordinator or partner in 30 National and EU projects (such as. TROPOS, COPEWELL, DIVERSIFY, TAPAS, CLIMEFISH). Dr. Takvor Soukissian holds a PhD in Ocean Hydrodynamics from the Dept. of Naval Architecture and Marine Engineering at the National Technical University of Athens (NTUA). Since 2000 he is researcher at the Institute of Oceanography of the Hellenic Centre for Marine Research (HMCR). During 2001-2004 he was associate professor at the Dept. of Marine Sciences, University of the Aegean. He also teaches in the post graduate studies program “Marine Science and Technology” of the Dept. of Naval Architecture and Marine Engineering at the NTUA, and is tutor at the post graduate studies program “Management technologies of waters, soft energy sources and environmental mechanics” of the Dept. of Civil Engineering Educators of the School of Pedagogical & Technological Education. He is author of 90 papers and monographs published in scientific journals and in proceedings of international/ national conferences, of books/chapters in books and is the principal author of the Wind and Wave Atlas of the Hellenic Seas. Since 2001 he is member of the Technical Programme Committee of the International Offshore and Polar Engineering Conference. He has participated in over 30 research European and national projects, mainly as scientific coordinator or principal researcher. His research interests include offshore wind and wave energy, ocean monitoring, stochastic modelling and forecasting of sea states and environmental parameters, extreme wave analysis, design and implementation of ocean monitoring systems.